2K today released a trailer highlighting a first look at the popular MyCAREER Mode in WWE 2K19. Featuring all the rivalries, drama and action you’ve come to love and expect with WWE, now you can find out if you have what it takes to be a WWE champion. In this year’s MyCAREER, you’ll start on the independent wrestling scene – much like many of today’s WWE and NXT Superstars. 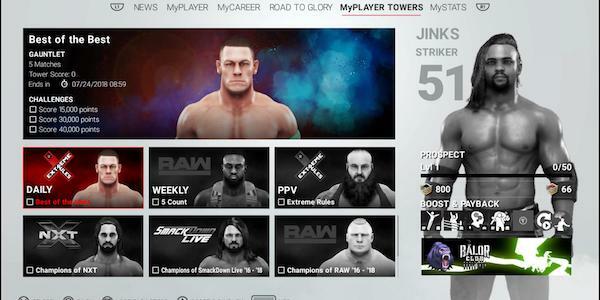 You’ll work your way through the ranks in an attempt to make the main WWE roster. Along the way, you’ll face alliances and adversity from some of your favourite WWE Superstars and authority figures, including Triple H, Braun Strowman and Matt Hardy.